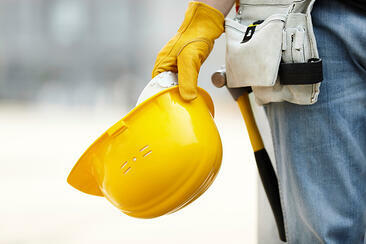 Employee safety is a top concern of any responsible organization. Not only can safety incidents result in injuries or loss of life, but they also negatively affect the organization’s bottom line (e.g., lost time, raised insurance rates, lawsuits), and ultimately damage its public relations image with stakeholders, the community and potential job candidates. But what can organizations do to minimize risk exposure? The answer is to build a strong safety culture. This goes well beyond regulatory compliance; companies with the best safety records have a conviction that accidents and injuries are unacceptable, and develop their own best practices to enhance safety performance. Further, they believe in the business benefits of valuing safety, both directly (reduced costs) and indirectly (improved morale and productivity). Organizations that judiciously implement these strategies will almost certainly experience a reduction in at-risk behavior and the consequences that follow. An example of this is the manufacturing division of Kroger grocery stores. At its worst, Kroger Manufacturing reached an average of 18 OSHA reportables per 200,000 hours worked for its 10,000 employees at 34 job sites. This led management to invest in a safety culture program that, over the span of 10 years, reduced their recordable injury rate by 83%. They now boast a lost-time injury rate less than one-third the industry average.It is important to note that building a strong safety culture takes time, particularly when poor safety habits are deeply rooted throughout the organization. However, it is clear that a company committed to improving its safety performance will reap the benefits of following these guidelines, and more importantly, provide its employees with the safest working environment possible. Our Guest Blogger this week is Craig White, a doctoral student in the industrial/organizational psychology program at Texas A&M University. His research domains include selection test development, training, and team processes and performance. He has six years of research experience at Tier-One universities (Texas A&M University, University of Houston, Rice University), and has been closely involved in applied safety and health research projects at the Michael E. DeBakey VAMC Health Services Research and Development CoE in Houston, TX. He is also a contract safety services consultant for Select International.